Okay, Y'all, today I'm going to show you the perfect gift for the man in your life. My boys love hot dogs, we probably eat them for dinner at least once a week. BD always wants steamed hot dogs, but we don't have a steamer, so we always just get boiled. Until now. This, my loves, is The Steamie. 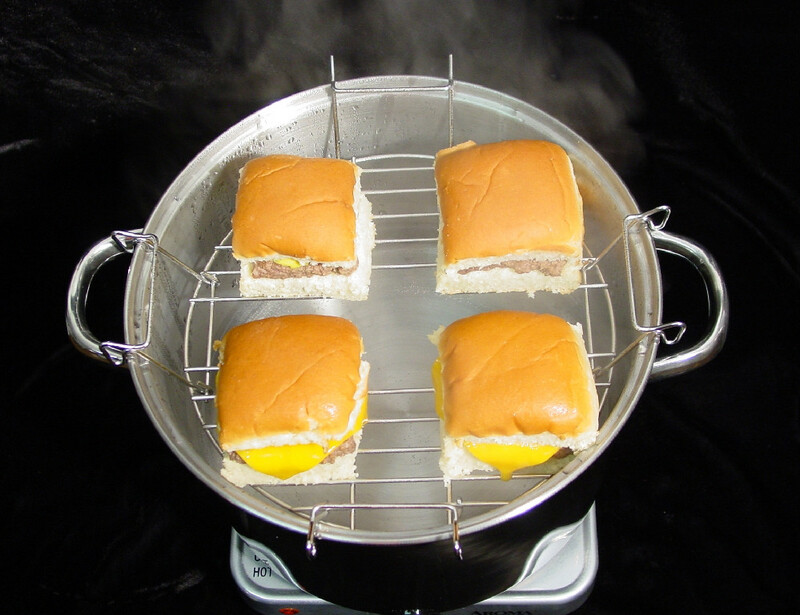 (Made by the same guy as the Hotdog EZ Bun Steamer, but I couldn't find a logo for The Steamie.) 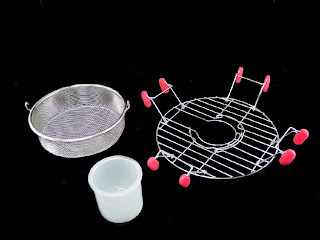 The Steamie converts any regular pot into a multi level basket steamer. 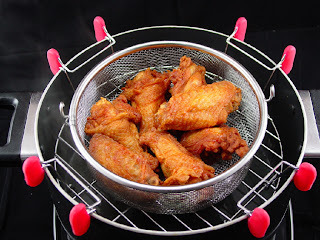 You can also deep fry in it! I was so excited to get to try The Steamie for the boys. We are very happy with it! 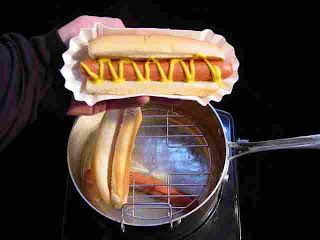 It is really easy to use, you just pop it onto your pan. It is made with heat resistant silicone finger pads, and it comes in four different colors to match your cookware/kitchen. I love the whole idea of it! We made hot dogs with The Steamie the first day we got it, and I swear, the hot dogs were the best I have ever had! 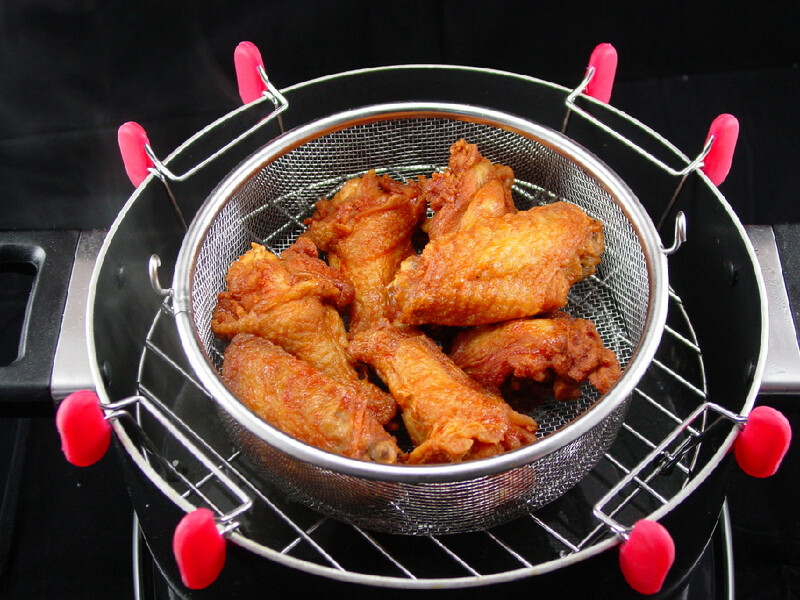 You can make so many things with The Steamie, from deep frying wings, steaming lobster tails, steaming tortillas and veggies, shrimp or clams. You can also make the most wonderful sliders with yummy steamed buns! I love this thing! And, it goes without saying, my boys, will never stop eating hotdogs now! If you are interested in The Steamie and wanna know more, check out the video on this site. It will tell you everything you need to know! Thanks so much Steamie Folks, for hookin' us up with The Steamie! 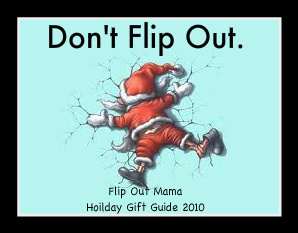 Definite great gift for the men on your list! Disclosure: I was provided with a sample product in order to conduct this review. Although I received a product, all opinions are my own, and no monetary compensation was recevied.